Register Log In A WELL REGULATED MILITIA Forums UPN: United Patriot Network Happy Tax Day! Here are six ways the government is spending your money. And yes, there are many more infuriating ways, but only limited room in this article. 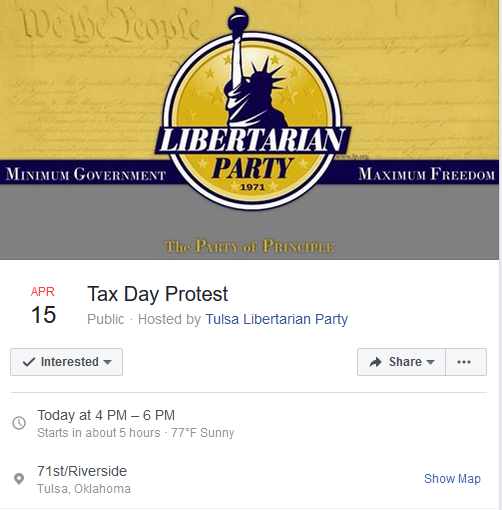 Are you in the Tulsa area, and want to vent your outrage at this? Join me and a handful of other folks this afternoon at four o'clock. Bring your own sign, and open carry is encouraged. You ever notice how many of the 'study grants' go to Universities? Especially ones that support certain Politicians or ones some Politicians graduated from? Our government pumps way too many tax dollars into colleges and Universities in this country. Most of it for BS research. Anyone remember the shrimp on the treadmills?